Preeminent "AV" Peer-rating, which is the highest rating awarded to an attorney through Martindale-Hubbell. 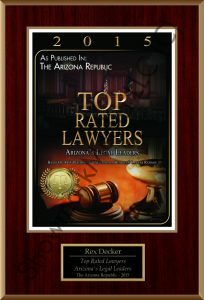 Selected for "Arizona's Top Lawyers 2012" by AZ Business Magazine. Added to the "Registry of Business Excellence™" by American Registry. 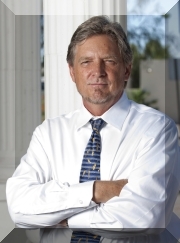 Honored in Ranking Arizona's Best of Arizona Business 2012: Attorneys. 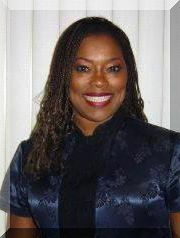 Listed in Southwest Super Lawyers for 2007. Served as a judge pro tem for the Arizona Superior Court, primarily serving in the probate division. Inducted as a fellow into the Litigation Counsel of America. 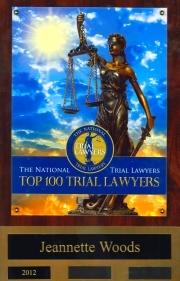 Selected for membership in The National Trial Lawyer's Top 100 Trial Lawyers for 2012. 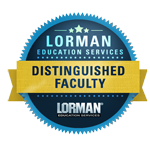 Membership in this organization "is based on and limited to an average of 100 lawyers from each state." Selected for "Top Valley Lawyers 2014" by North Valley Magazine.